Social Media was outraged this week when a video came to light of a child named Jamal being racially bullied and ‘waterboarded’ on the premises of Almondbury Community School which both the bully and the victim attended. The video quickly went viral with the identity of the bully being openly posted across media channels. 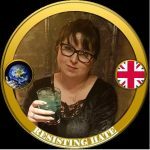 Resisting Hate have not shared the identity of the bully and we ask our followers not to. The incident is now being investigated by the police and legal recourse is better than vigilante justice. convicted fraudster Stephen Yaxley-Lennon of course does not share the moral stance taken by RH. 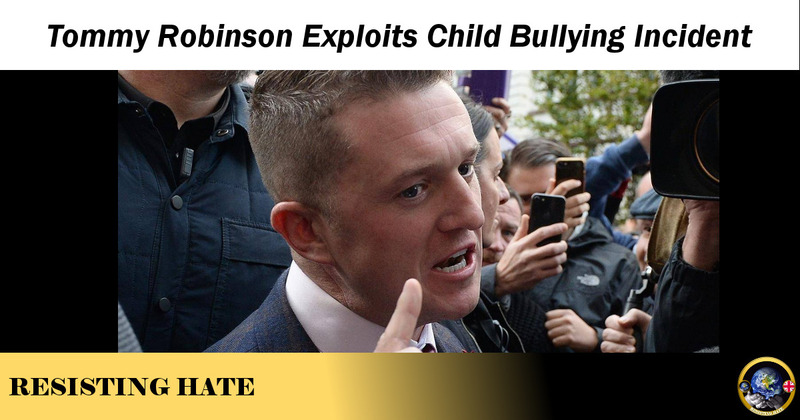 For Tommy this was just another opportunity to push his anti Muslim hate agenda. Tommy jumped on the bandwagon as quickly as he could. Keen to distance himself as it has already emerged that the bully was a fan of Robinson and shared his posts. Tommy doubts whether the bullying is genuine and wonders why it has got so much exposure. Tommy then decides that the victim himself is a bully and he has ‘absolute fact’ (sic) of him beating up a girl at the school. Tommy posts his…errr… ‘evidence’ and then quickly deletes it. Then the mother of the girl Jamal had allegedly harmed withdraws her accusations and confirms to Robinson that Jamal was not involved in the incident harming her daughter. So Tommy gets the brother involved. Desperate to cast Jamal as the villain and not the victim, Tommy then finds another mother to discuss another alleged incidence of violence at the school. Lol is there a possibility Mr Lennon is having the piss taken out of him by various rascals on Instagram who know he doesn't check up on these things? 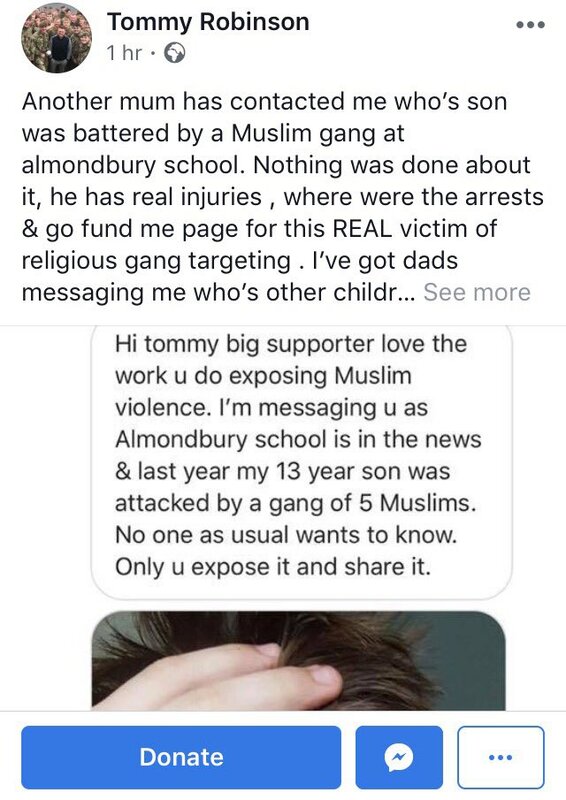 It turns out the pictures sent to Tommy were of an incident at a totally different school which was nothing whatsoever to do with Muslims or Jamal. Tommy then admits it was ‘Fake News Central’ and he has been duped. He seems to find this extremely amusing. 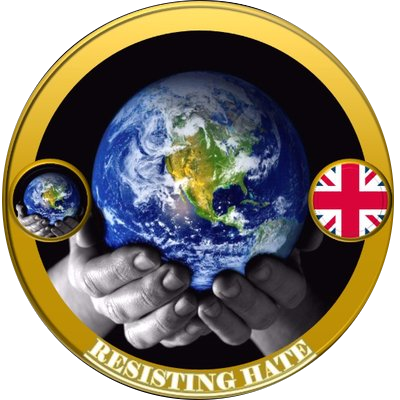 At Resisting Hate we do not find his embarrassing lack of research or his willingness to accept any old rubbish (as long as it portrays Muslims negatively) funny at all. As Luke Collins points out, Tommy can delete as much as he likes but that information is now out there. How many mindless morons now wrongly believe that innocent victim Jamal was a bully himself? What danger has Robinson put this young lad in? Looks like there will be consequences though. The Independent have reported that Jamal’s family are thinking of suing Robinson for the lies he has told. The lawyer of the victim is also considering legal action against Tommy. We are currently actively considering legal action against Mr Yaxley-Lennon (aka Tommy Robinson) for his defamatory comments regarding Jamal. Journalists check their facts. You are not a journalist convicted fraudster Stephen Yaxley-Lennon. You are the bigoted thug and hater you always have been. But exploiting children in an attempt to push your anti Islam agenda is a new low even for you. Our thanks to Luke Collins for his well researched and up to date information on all things Yaxley Lennon.